Many schools that offer occupational certificates or associates degrees require applicants to take the TABE. This stands for Test of Adult Basic Education. In many ways, the exam is a lot like the GED, but it’s not quite as difficult. That doesn’t mean the test is easy; it’s not. It takes nearly three hours to complete the exam, which covers many different areas in language, math, and reading. The test doesn’t cover any material related to the career a person is hoping to study for, so no technical knowledge of the field is required. Schools give the TABE test because they want to make sure that students have the basic skills necessary to do well in school. Reading, writing, and math are the foundational skills that all education builds on. A person who struggles in these three areas will find it very difficult to complete an education to learn a skill or trade. So it’s very important to get a good score, because schools may turn down applications from students who do poorly on this important exam. At Mometrix Academy, you’ll find lots of videos you can use to help you be prepared to do your very best on the TABE test. Mometrix Academy is a completely free resource provided by Mometrix Test Preparation. If you find benefit from our efforts here, check out our premium quality TABE test study guide to take your studying to the next level. 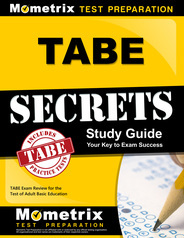 Just click the TABE Secrets Study Guide link below. Your purchase also helps us make even more great, free content for test-takers. The TABE test—also known by its full name, the Test of Adult Basic Education—is one of the more complex standardized tests issued in the state of Texas. It caters exclusively to the education of adults, especially those whose first language is not English. The entire purpose of the test is to measure how much education-seeking adults already know when it comes to academic and workplace environments. The TABE test came into being during the late 1960s. It creators, the CTB sought to create diagnostic tests aimed at Los Angeles children, among many other types of tests prior to the TABE’s creation. It wasn’t until McGraw-Hill bought out CTB by 1965 that ideas for the TABE began to sprout. It made its official debut in the year 1967. After numerous tweaks, the TABE 5&6 arose in the year 1987. It came with a sibling aimed at Spanish-speaking adults, called the Spanish Assessment of Basic Education, or the SABE. By 1995, the CTB released yet another incarnation of the TABE with a greater variety of academic subjects, dubbed the TABE 5&6. This new version of the test not only improved scoring capacity and tied the TABE to the GED, but added sections relating to spelling, mathematics, reading, and language arts. By the year 2003, the TABE test as we know it, called the TABE 9&10, was released. It includes similar materials as the TABE 5&6, but adds to and improves upon them. One very important inclusion was the online version of the TABE test, titled the TABE Online, which is meant to evaluate the basic skills of adult learners. It is the first test of its kind to be administered online, and thus breaks new ground in the realm of adult education. Because of the test’s ties to adult education, a large number of adult education facilities utilize it to test the abilities of students. It not only tests what students may or may not already known, but can be administered as a comprehensive exam following the completion of an adult learning course. The TABE test therefore splits into multiple types. There is the TABE-PC, which is a computerized version of the TABE test; the TABE 9&10, which evaluates adult proficiency in early high school subjects; the TABE testlets, which are a more recent version of the original TABE test; the TABE Advanced-Level tests, which assess adult proficiency in higher-level high school subjects; the TABE online, an Internet-administered version of the TABE test; and the TABE CLAS-E, which tests adults on their capabilities in the English language. There are also a large volume of tools to help study for the TABE test or supplement its materials. 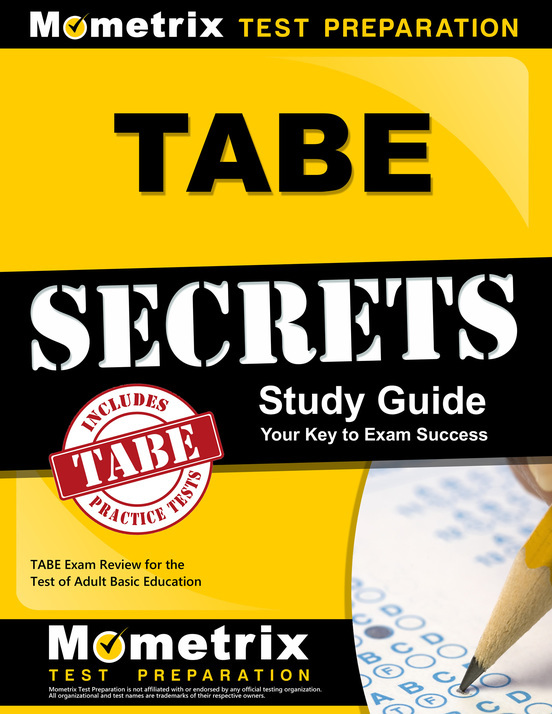 How Does the TABE Exam Work? 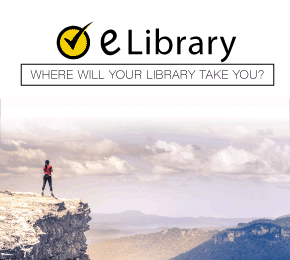 Each version of the test is tailored to a specific set of needs, meaning that you can pick which test format you want to take based on what you are currently learning. You will most likely take the test at the same location as your adult learning classes. The length of the test itself depends on which version you take. The “survey” test is composed of exactly 100 questions, with each quarter dedicated to a specific subject—specifically, language, mathematics, or reading. It takes approximately 1.5 hours to complete. However, the “Complete Battery” test is 195 questions long and has a testing period of three hours. The types of material featured on the test can be either developmental learning, a cumulative assessment, or a way of measuring exactly what you know. The diagnostic version of the test is most often given to students as a way of letting instructors figure out how each of their students learn on an individual basis. There is also a “Locator” test, which is meant to help students discover which testing level is the most appropriate for them. You will generally take the Locator right before you take the official TABE test to determine which level is most fitting for you. You have an assortment of options for how you test. Specifically, you can choose to take the test either through a computer or on paper. Each test has a difficulty level for you to choose from, its full range being Advanced, Difficult, Medium, Easy, and Literacy. Because the Advanced tests are the highest level available, they must be obtained through special means. They are generally computerized, and offer a means of measuring the test taker’s performance in real time that determines how the test is formatted for you. If you are disabled or otherwise have special needs, you can request testing accommodations from the instructor responsible for administering your test. We’ve compiled further information on how each variety of the TABE test works, so you can best pick which one is best for you and learn how to prepare for it. Top TABE Test Review Tips!!! The TABE 9&10 is the “base” version of the test, fitted with a variety of tools for preparation and self-governed learning tools. The test also splits itself by grade level, meaning you can choose between ninth grade materials and tenth grade materials. The subjects you will find on the test are the standard fare: spelling, reading, vocabulary, mathematics, language mechanics, and language. Each of these subjects seeks to evaluate a different set of related skills. The language portion of the test is the longest, averaging at 55 minutes with 55 questions. Reading is the second longest at 50 minutes with 50 questions. Meanwhile, spelling is the shortest, as you will only receive 10 minutes to finish all 20 questions. The TABE-PC is, at its core, the computerized edition of the standard TABE 9&10 exam. Its only difference, beside the digital format, is its instantaneousness. If you choose to take the TABE-PC exam, the programming it is packaged with will automatically take care of judging your score and sending it off to the instructor of your adult education class and whoever else needs to see your score. Not only is the TABE-PC expedient with issuing your scores, but entirely accurate. It is designed to help instructors figure out the best way to guide you educationally, meaning it will not only correctly determine the right level of the TABE exam for you, but grade you and help your instructor interpret the next best steps for your learning path. 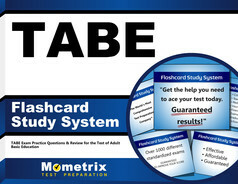 In other words, the TABE-PC is meant to be a time saver for test takers and instructors alike. The TABE-PC is not limited to just the 9&10 materials. You can also use it to take the Advanced-Level version of the test, as well as the Complete Battery and the Locator. In addition to the main test, the TABE-PC offers a tutorial that prepares you for the test and teaches you how the test works. It also presents a number of tools that will help your instructor to understand your learning process better. This includes teaching materials, a progress measurement tool that gathers data from before and after you take the exam, advice for constructing a study plan specific to your learning needs, and comparative rubrics that place you alongside other adult learners. The TABE-PC is one of the quickest ways to gather a sense of your weak points and your strengths when it comes to your education. 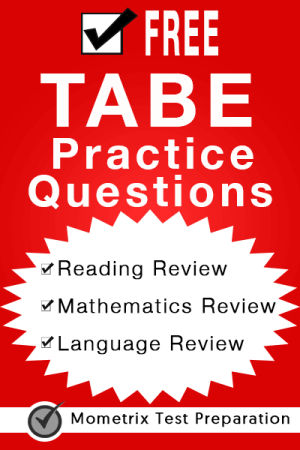 The TABE testlets are more akin to a practice exam or a diagnostic tool than anything else. If you’ve been chosen to take a TABE testlet, then you’re one of many students who will be helping the writers of the TABE test determine how well their new version of the test functions with regards to measuring the knowledge of adult learners like you. Tests like these normally do not make it to the public eye. The TABE testlets are a part of regular TABE testing curriculum, however, because of the shallow amount of information with regards to the education of adult students. The testlets are much shorter than the average TABE test, averaging at 45 minutes of test taking time. They are a good preview for the GED test or any other equivalent as well. They are also free to take, but can only be accessed by any students given the online version of the TABE exam. If you’re looking to take the GED test or anything similar, the TABE Advanced-Level test is the best choice for you. Its materials closely match what you will find on the average GED exam, meaning you’ll get a sense of what to expect. The test also informs your instructor of how much help you’ll need to prepare for your GED exam by measuring your mastery of topics typically found on a high school equivalency exam. The Advanced-Level exam is about 132 questions long—specifically, 60 multiple choice questions in Math (Geometry and Algebra), 35 in both Social Studies and Science, and two essay questions for the Writing portion of the test. You may take each of these subjects all at once, or on a separate basis. You have the option to pass on a subject you’ve proven that you already know well. The TABE Online is, as described, an online format of the TABE test. Much like the TABE-PC, it allows for faster scoring of your test once you have completed it. 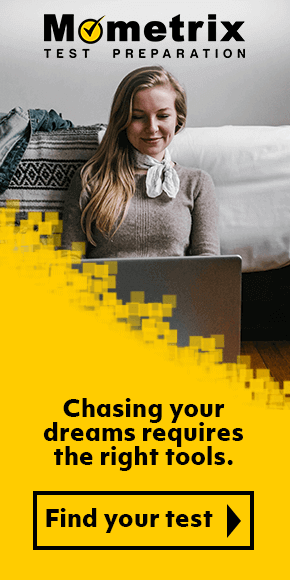 It is meant to judge how prepared you are to test for your GED or to enter the workforce, depending on your personal goals for your adult education. Three unique features of the TABE Online are its abilities for your instructor to adjust how the test displays to enhance visibility if you have vision-related disabilities, the test to be paused should you be unable to complete the test in the time allotted, and the option to make the test untimed, all of which can be triggered for students on an individual basis. The TABE CLAS-E is meant solely for students whose first language is not English, and who are in the process of learning English. More specifically, the TABE CLAS-E measures how skilled a student has become with their English, and can help them discover the best way to move forward either with their English language studies or in the workforce or educational environment of their choosing. Unlike the other versions of the TABE, the TABE CLAS-E judges four areas: speaking, reading, writing, and listening. The Speaking portion of the test seeks to evaluate your ability to reach goals, how well you can give information to others, and your aptitude for socializing. Reading judges how well you comprehend what you read and your ability to discern individual words. The Writing portion of the test evaluates your ability to write for expository purposes, how well you can form sentences, and how well you can use the English language in general. Listening measures how well you pull meaning from words, your interpersonal skills, and how easily you can pick out relevant information from the English you hear. All four sections of the test measure your numeric literacy. The TABE CLAS-E also goes hand in hand with the TABE 9&10, which you may be exposed to later on as you continue your adult education courses. It also comes with a Locator for the sake of determining the best placement and the most fitting version of the test for you. How Is the TABE Exam Scored? Scoring takes place either online, through the use of a scanning device, or by hand and human discernment. The test’s grading rubric is currently determined by the International Reading Association, the National Council of Teachers of English, and the National Council of Teachers of Math. If you didn’t get the score you wanted, don’t worry. There is no way for a student to fail the TABE exam. You will not have to worry about retests or anything similar, as the TABE’s only purpose is to measure what you know. Your instructors will then use that information to figure out the best way to teach you. No matter how well you do, you’ll benefit from taking the TABE test. If you’d like to prepare, we at Mometrix Study Preparation have collected a variety of materials to help you study. Good luck, and happy learning! Mometrix Academy is a completely free resource provided by Mometrix Test Preparation. If you find benefit from our efforts here, check out our premium quality TABE study guide to take your studying to the next level. Just click the TABE study guide link below. Your purchase also helps us make even more great, free content for test-takers.